While one very visible venture capitalist may have recently hung up his spurs, the world’s largest privately-controlled technology company today brought out of stealth its venture practice, Dell Technologies Capital. Early on, Dell recognized the value of venture investing as a key tool for innovation, in addition to organic research and development, partnerships and acquisitions. But it was always about more than just investing money. “Capital is merely table stakes to set a startup company on the path to success. New companies are looking for active investment partners who provide breadth and depth of expertise and access to resources and scale,” said Scott Darling, president of Dell Technologies Capital. That why Dell Technologies Capital offers experienced board members, deep technical expertise as well as access to the global scale, channel, original equipment manufacturer (OEM) and go-to-market relationships that are unique to the Dell Technologies’ family of businesses. In addition, we provide access to industry-leading technologists, investors and company executives. And while you may not have heard much from the team of highly experienced investors at Dell Technologies Capital, you might have heard of some of their portfolio companies. For instance, Edico Genome announced earlier this year an agreement with Dell EMC to offer a bundled compute and storage solution that increases the maximum rate at which data can be processed. “Accelerating time to answers can lead to faster diagnoses for critically ill newborns, cancer patients and expecting parents waiting on prenatal tests, and allows scientists and drug developers to spend less time waiting for data and more time interpreting results,” Edico Genome CEO Pieter van Rooyen said. Edico Genome’s Dragen bioinformatics processor is now integrated into a 1U Dell PowerEdge 4130 server for genome analysis, as well as Dell EMC’s Isilon scale-out networked attached storage for genomic data storage across all levels of throughput capacity. “As a Dell Technologies Capital portfolio company, we were able to utilize Dell Technologies’ ecosystem to collaborate and combine the powerful Dell EMC and Virtustream portfolio with the speed and accuracy of the DRAGEN processor to offer a complete, cost-effective solution for rapid genomic analysis for new and existing customers,” he recently added. 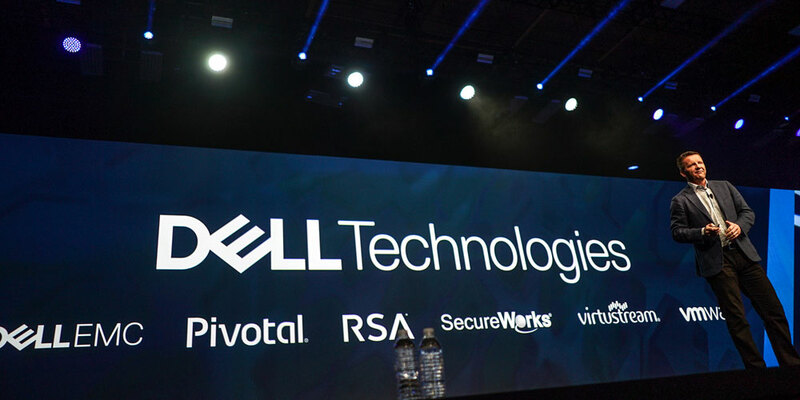 Dell Technologies Capital Capital has been an active investor in more than 70 other early-stage startups, and will continue to invest globally for Dell Technologies’ unique family of businesses including Dell, Dell EMC, Pivotal, RSA, SecureWorks, Virtustream and VMware. For more information about Dell Technologies Capital, including its current portfolio and previous investments, visit delltechnologies.com/capital.